"What's On Your Lock Screen?" As Demonstrated on The Rachel Ray Show by Self-defense Expert and Former CIA Officer Jason Hanson with some important easy to follow tips on how ICE Medical Standard could save your life in an Emergency. Over 14,000 Hospitals, Medical Clinics, Medical Schools and Visiting Angels - America’s Choice in Homecare and Living Assistance Services. With over 550 franchise offices across the United States are recommending and listing ICE Medical Standard App on their Websites and Emergency Pages. 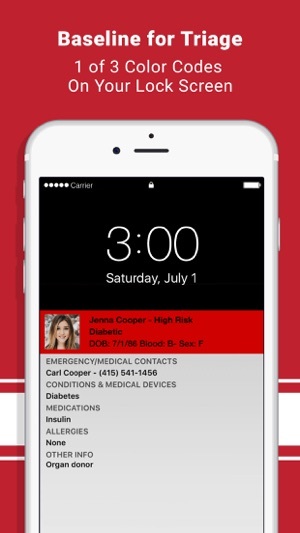 First Responder’s, EMS, EMTs, FEMA, and ER Staff can view Your 3 Color Coded Medical Status by viewing the 1 of 3 colors on top of the ICE Medical Standard App or Your Smartphone Lock Screen Overlay Display to gain at-a-glance insight into Your Well-Being. 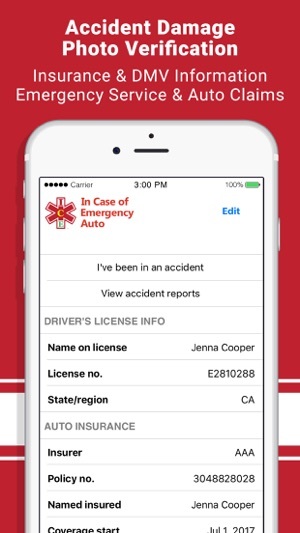 The 3 Color Code Status Auto-Populates based on the information you enter into the ICE Medical Standard App or the ICE Medical Standard ID Card. 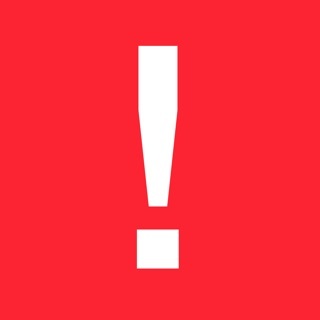 Red Color Code is High Risk Status – Alert and tells First Responder’s, EMS, EMTs, FEMA, and ER Staff to pause and read further. It reflects severe Allergies or Health Conditions. Yellow Color Code is Medium Risk Status – Alert and indicates the user is taking only Medications. If none of these apply, Green Color Code means you are Good To Go Status. You Can Choose To Show or Hide which Personal Information is displayed on your Smartphone Lock Screen Overlay Display to Protect Your Privacy. Since uploading the original ICE Standard Application on December 24, 2010, ICE Medical Standard App has over 100 Million Users in Untied States. 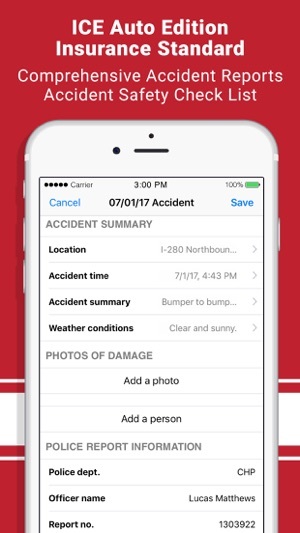 ICE Medical Standard App, is the Industry Standard for Storing and Retrieving Personal Medical Information to Emergency Critical Care Networks in the event of an Accident or a Disaster. The New ICE Auto Insurance Standard upgrade adds comprehensive support in the event You or Your Family are in an Auto Accident. 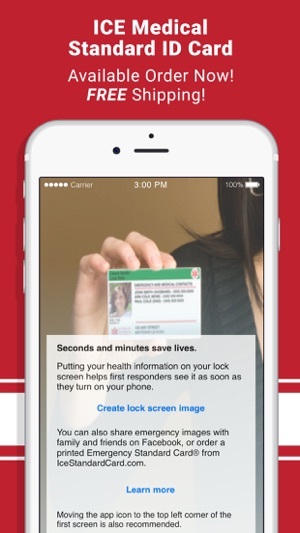 NOTE: The Smartphone is regarded as a backup device for your ICE Medical Standard ID Card, if in an Accident your Smartphone may be damaged, overlooked or out of power. A physical ICE Medical Standard ID Card is now available and is the best way to provide Emergency Medical Contact Information for First Responder’s, EMS, EMTs, FEMA and ER Staff. ICE Medical Standard Application was designed and developed using the SWAT Checklist and industry best practices without any Integrated API Extensions connecting to 3rd Party Applications. 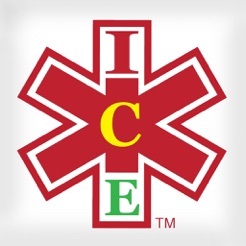 ICE Standard Medical Application reverts back to Joseph A. Ekman’s, August 2010, University of San Francisco’s original Research Study called “In Case of Emergency Standard”. Emphasis on utilizing the Smartphone’s or Tablets Device Lock Screen Overlay Display Image so First Responder’s, EMT, EMS and FEMA could access one’s Emergency Medical Contact Information by simply clicking on the devices power button. 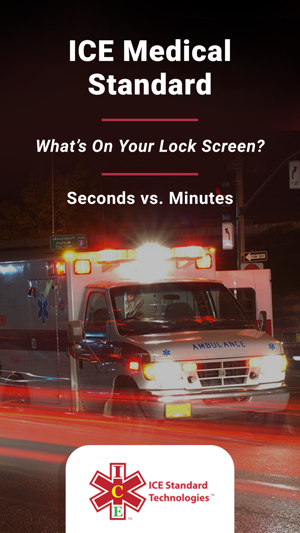 Immediately, 1 of 3 Colors is displayed on the Devices Lock Screen Overlay Display along with the Persons Medical Condition, thus giving the First Responder valuable information to get a baseline for Triage in Seconds vs. Minutes. 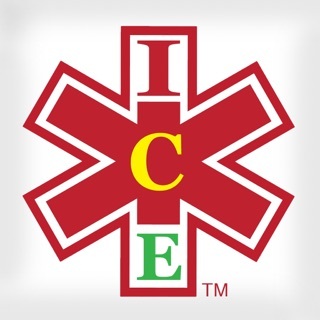 New Images added for ICE Medical Standard Application, and ICE Auto Insurance Standard Application. After going through this training on how to use this app. I would recommend everybody having it. It's literally a life saver and easy to use. As a first responder one of the first triage puzzles I face is trying to figure out why is the patient having a medical emergency. 80% of the time I am unaware of there medical history. Having an app like this lets me access and obtain medical history that the patient only wants me to know. This can help me start asessing and rule out certain conditions immediately. This helps me start treatment and get a patient to the hospital with in the "Golden Hour" . Which your chances are significantly greater to survive. I would recommend this for everybody! Also that I can access patients Doctors or family members helps greatly. If they put it in there information. Great idea and still very secure of your history. This APP is definitely a “MUST OWN” for everyone everywhere. Thank you Joseph A. Ekman for all your support and effort in assisting and helping out me with my most difficult struggles and hardships recently in my life. I am very proud to have had the opportunity to get to know you and even more proud of this incredible essential medical application for us all to achieve the best supportive quick & essential medical assistance we all deserve in our most vital and crucial time of need if ever anyone of us were in such a time of crisis.